Ok, so you've got the holiday party planned (or if you don't, get in touch!). Check that off your list. What's next? Here are some of FIG's favorite food-centric and low waste gift ideas for spreading local cheer. Knife Sharpening — very affordable way to keep meal prep on point. Offered by American Pride Microgreens at the Green City Market , the home cook in your life will LOVE this gift. You can also pick up local veg and sundries on the same trip. Rare Bird Preserves truly superb gift sets. The Oak Park store just opened, so you’re able to sample all the goodies before picking favorites. 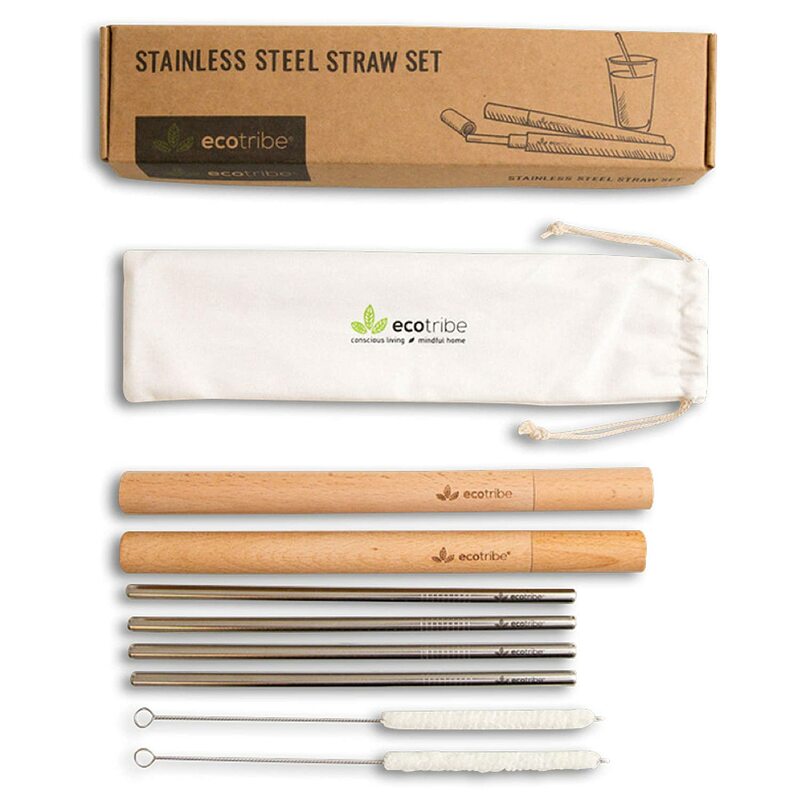 Stainless Steel Straws ride the (plastic free) wave with this portable, washable set. Custom Crockery Ian Wallach is a friend of FIG and makes one of a kind plates and dishes. Get in touch for a bespoke project, perfect for a sweetheart table and anniversary meals for the ages. Fix Your Kicks treat the sneakerhead in your life to repair vs. replace. We love the ambition of this young company, which also services and cleans all kinds of shoes and accessories. You can even have your purse cleaned! Tickets to a 2019 Lyric Opera Performance a memorable experience is always better than a forgotten trinket. Added bonus — the option to host a pre/post show reception with FIG. We’re thrilled to be a prospective vendor for Lyric’s private space – a real show-stopping environment for weddings and special events. A subscription that feeds the mind. We’ve enjoyed reading Eaten (food history) and Mold (the future of food) magazines. Prohibition Themed Cocktail Workshop the perfect team-building or client appreciation setting, this private workshop can accommodate up to 16 guests for hands on learning (and drinking). Hosted at the Iron Mill Speakeasy in partnership with Chicago Prohibition Tours. Give the Gift of Giving Back donate to an organization making a local impact, like the Chicago Coalition for the Homeless , Urban Growers Collective, or Chicago Battered Womens Network.